HubPages.com Review: Can You Make Money With Them? HubPages.com is a lot like the website Squidoo.com. In both places members are able to create their very own webpages which in HubPages is known as hubs. These hubs consist of relevant and high quality content writers can write and have a chance to earn some money from it through the use of Google AdSense ads placed on the hub. The more readers and followers that you have, the more money you can make in the long run. As with virtually any money making opportunity online HubPages.com has its own set of pros and cons and these may mean the difference between you taking the risk and trying to earn some money or finding another venture altogether. 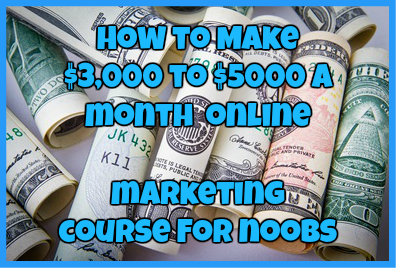 You Can Actually Make Real Money Doing This-I know that for many people who try to make money online, majority of the time they are scammed out of money. This is not the case with HubPages.com Just do a Google search for payment proofs from HubPages and you will thousands of them. This website gives you the opportunity to make real money online for free without having to invest money of your own in order to do it. It Is Incredibly Easy To Do-if you are a writer then this way of making money is going to be incredibly easy for you. All that you have to do is sit down and write content that people are looking for right now. Then all you have to do is wait for the money to roll in. 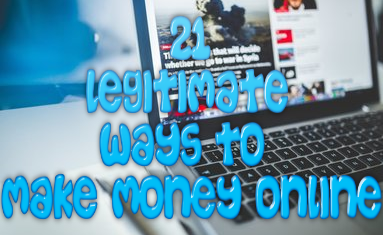 The Only Money You Make Depend On How Much Traffic Your Hubs Receive-as with anything pertaining to making money online, this is something that is going to take time in order to correctly. The bottom line here is that if you receive no traffic to your hubs, then you won’t make money. Plain and simple. However, if you drive traffic to your hubs and get thousands of hits a day…you can certainly make money. With this website targeting the right keywords is extremely important especially if you want to make a living out of it so it is best to have a good keyword tool to help you along the way. There Are A Lot of Complaints About HubPages Online-this was something that surprised me when I did a quick Google search about it and it is something that sets a red flag off in my head now. There are just too many complaints about this website that I caution you to be wary of them if you do decide to give them a try. Many of the complaints that I found online consisted of coming from members who had been using the website for a long time and were suddenly banned for no apparent reason. My thinking behind this is this: if HubPages has no problem banning veteran members, they have no problem banning members that start new with them. Now that you understand that you are paid by HubPages via Google AdSense, let me break down exactly how much money you earn and how you receive it once you make enough. The typical breakdown of the pay scale is 60/40…you get 60% of the commissions earned from AdSense, HubPages gets 40%. While that may not seem like a lot it is pretty standard for many websites to do this so you are not going to get much better than this…trust me. You can withdraw your money once you earn enough via PayPal or your bank account once a month. Again this is pretty typical of most websites today and you will probably not find any other sites that offer a different pay schedule. The main question here is, can you make money online with HubPages.com? My answer to this question is yes you can. However, it is important to understand that while you can make money with HubPages this is something that is going to take some time on your part in order to drive enough traffic that you need in order to start making money. Do I think this is a reasonable option for long-term success online? No. As with many of the complaints that I have seen it seems to me that this website is a dangerous risk to investing all of your hard work and time into just to get banned for no reason. While you can make money with HubPages.com, I’d still be wary of it. Are you an active member on HubPages.com? Have you made money with them or were you banned for no reason? Regardless of which category you find yourself in I would love to hear from you. Simply drop me a detailed comment below. ← Pure Leverage System Review: Is It Another Scam?